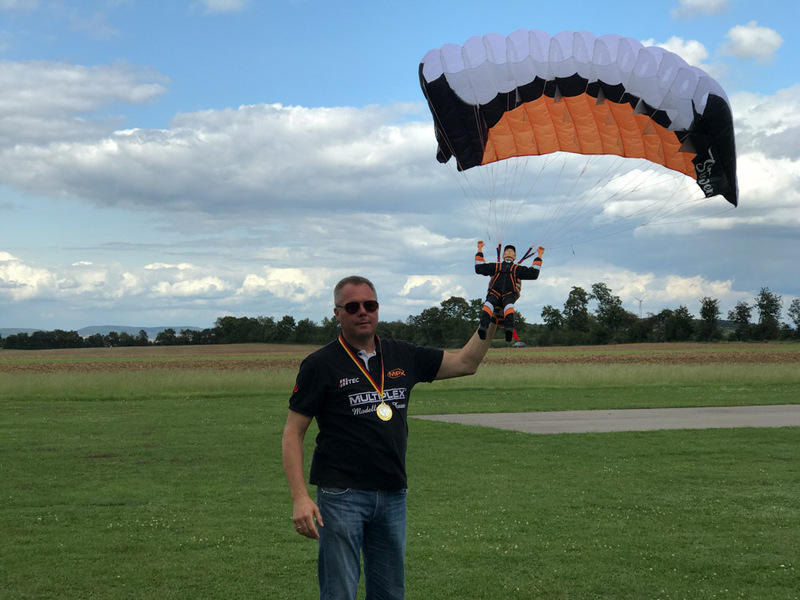 36th edition of the RC Skydiving German Championship. 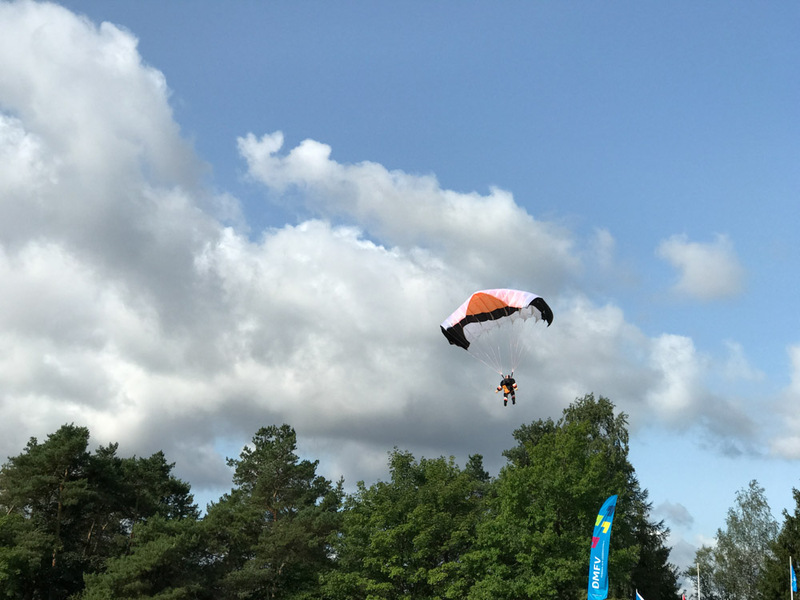 > Events >36th edition of the RC Skydiving German Championship. 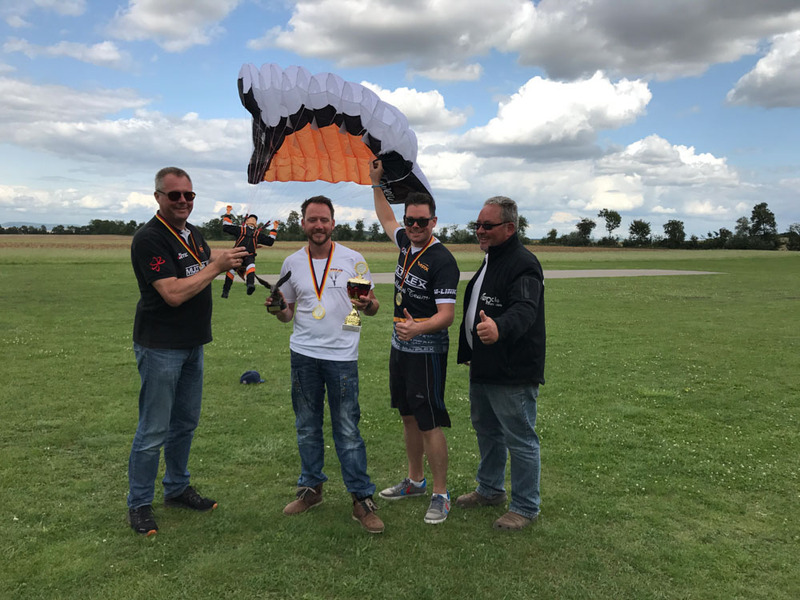 This year, we would like to congratulate the winning team of the Accuracy landing competition: the Hiesfelder Skyfighter team, a Skydiving team composed of Timo Katemann, Alfred and Michael Rachner. A big thank you goes to them and their trust in our wing. Once again congratulations for those brilliant performances! 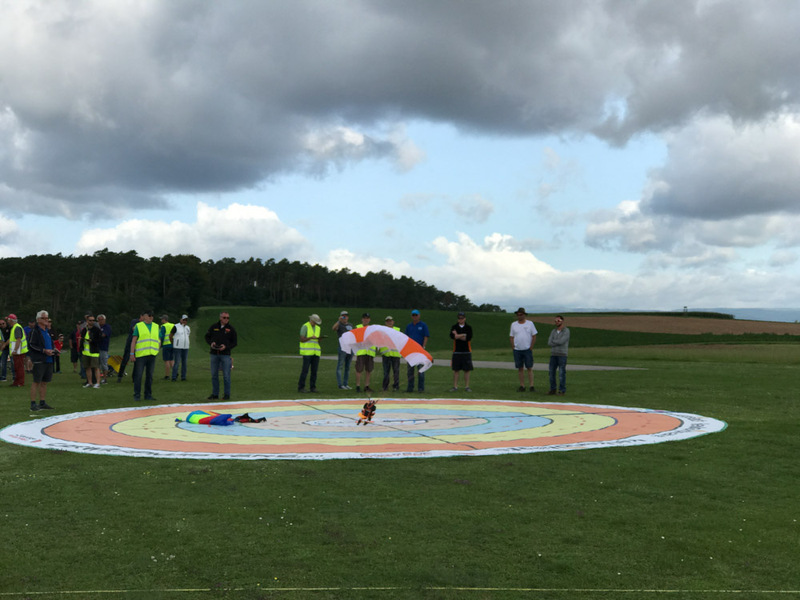 This event was this year really successful thanks to the DMFV, the IMS Bad Neustadt / S.E.V club and the participants. 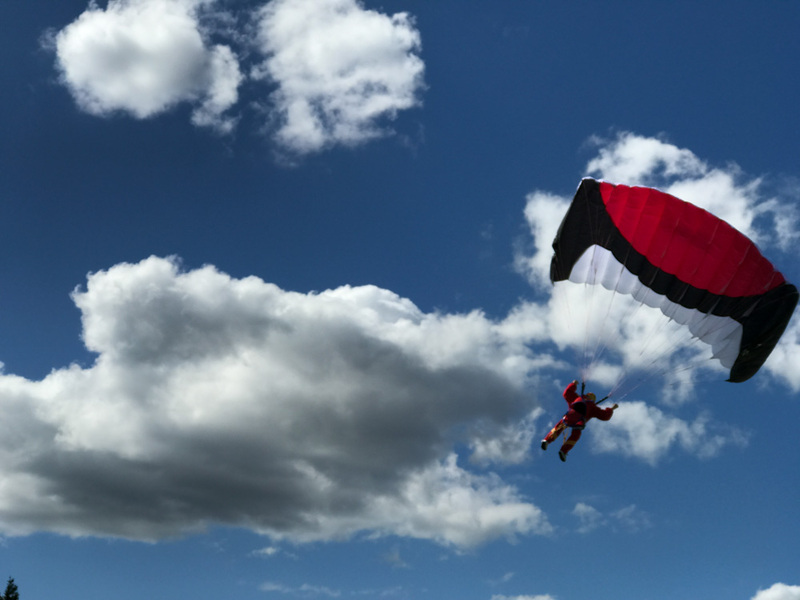 2 days of thrills, fun and achieved jumps. 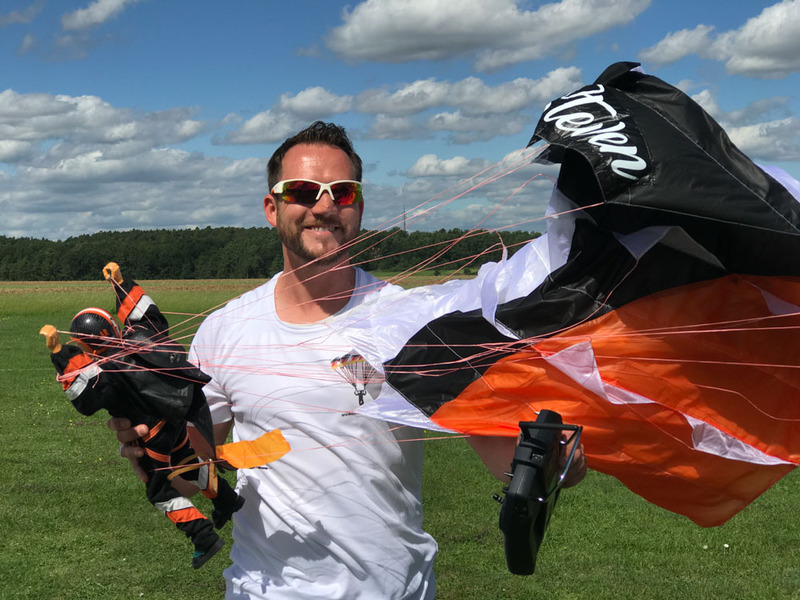 The Steven model, outcome of the Alfred Rachner's long term development work was there and Opale Paramodels will very soon introduce a proper RC Skydiver pilot for this wing. The DNA of this wing is mainly made of a lust for win and a hint of fun. 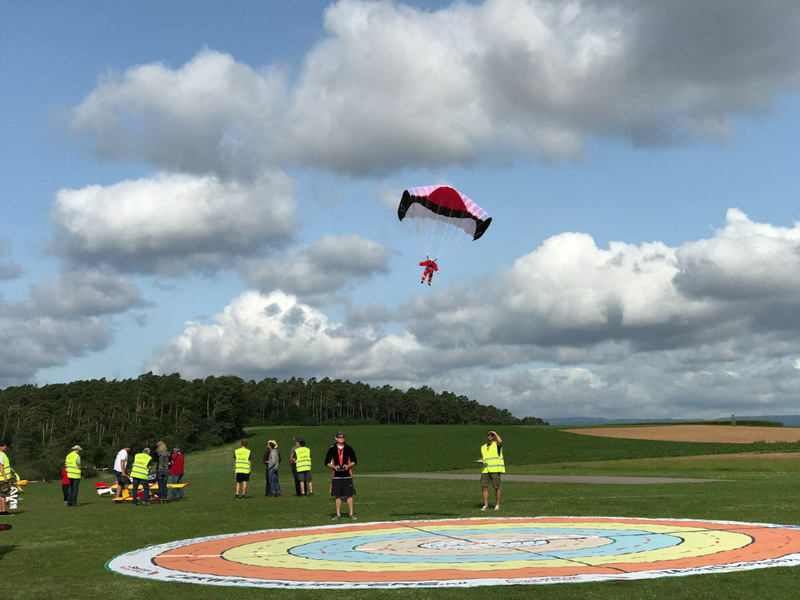 But this parachute is not only dedicated to competitions. 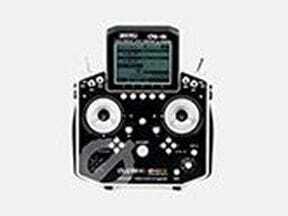 Our mission, during the development, was to allow as many people as possible to access and enjoy easily this discipline. 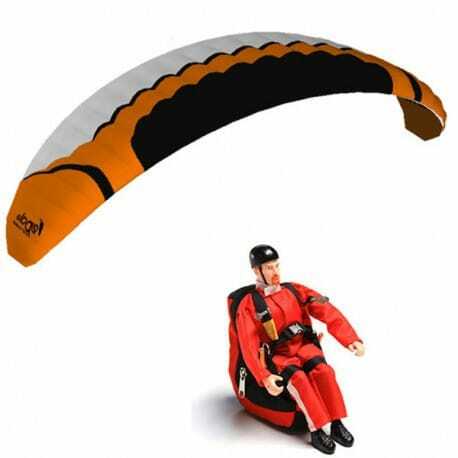 We can fulfill, from now on, your expectations and will be soon able to provide you a complete RC skydiver kit.